Cross-country skiing on the Seiser Alm in the Dolomites enjoys an international reputation. Not only amateur athletes pursue their favorite sport here, and professionals know how to appreciate the trails on the Seiser Alm. The Norwegian National Team, for example, holds regular training camp here from - a confirmation of the quality and variety of trails that awaits the tourists here. 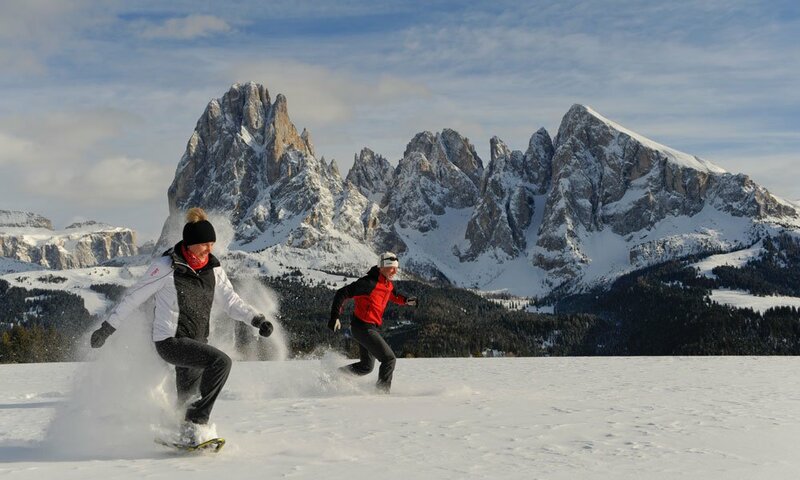 Also the pleasure of cross-country skiing on the Seiser Alm starts directly at the Hotel Madonna. Eleven tracks with different lengths and difficulty levels from beginner to professional offer excellent conditions along 80 kilometers of trails. The tracks are groomed twice to four times and are suitable for supporters of the classic skiing style and skating. An additional training effect have the trails due to their location on 1800-2200 meters above sea level. Although a training in front of the incomparable panorama view of the Schlern, Langkofel and Plattkofel and during the 300 sunny days a year is more of a pleasure than a duty. 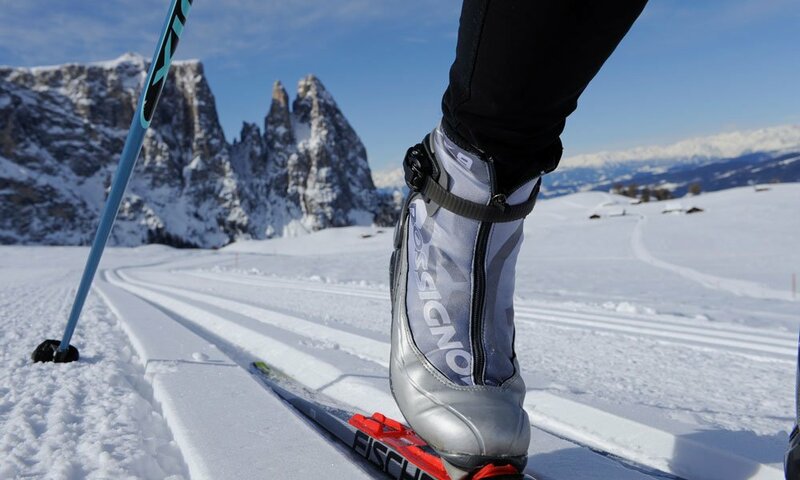 Whom the trails on the Seiser Alm are too short, in the cross-country skiing carousel Dolomiti NordicSki among 1,300 kilometers they will certainly find the right route. 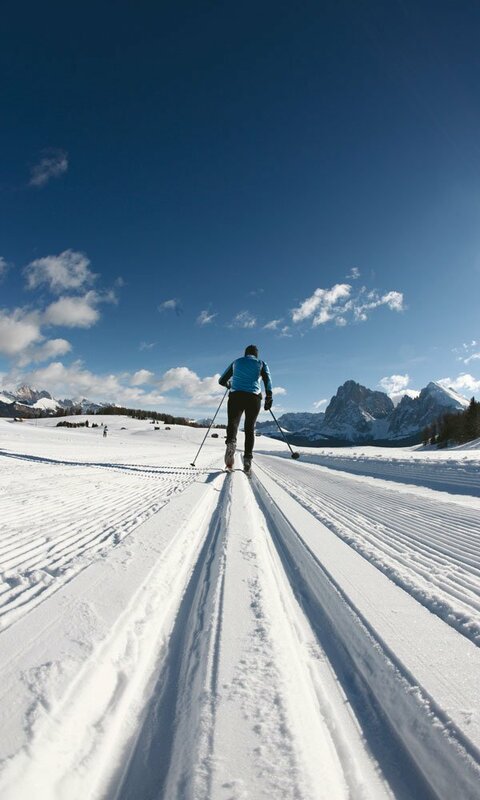 A very special event for cross-country skiers on the Seiser Alm takes place every year in January at the full moon: the Moonlight Classics. 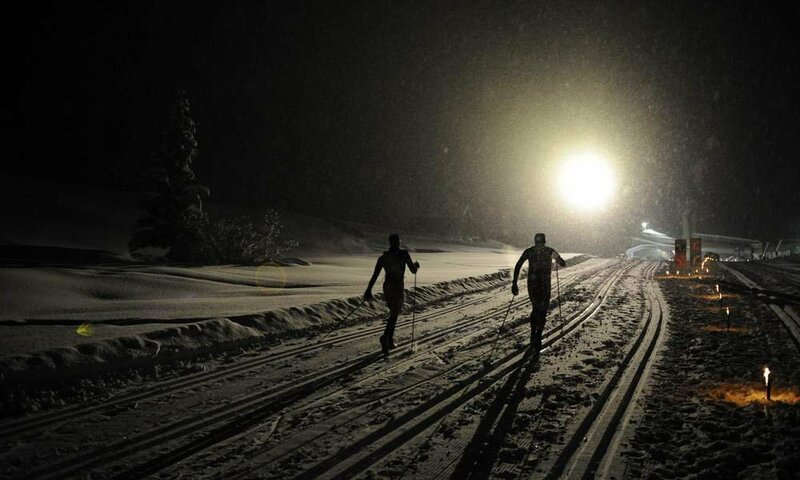 The cross-country marathon takes place in the moonlight, torches line the trails and indicate the way to cross-country skiers. 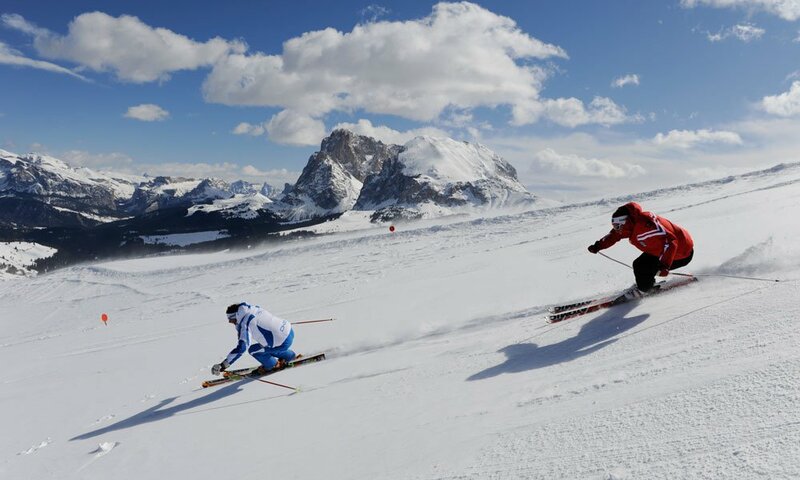 And along the way an extensive entertainment program is going on: music, ski show and fireworks turn the Moonlight Classics into an experience that is a must for all who spend their holiday practicing cross-country skiing on the Seiser Alm. 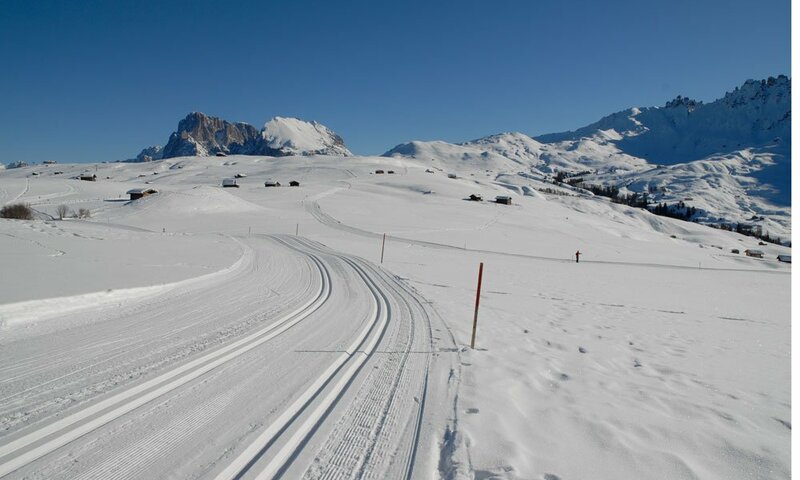 The Joch track on the Seiser Alm is considered the most athletic demanding cross-country ski trail in the region. It has a length of 15 kilometers, cross-country skiers also manage an altitude difference of 201 meters. Possible are both classic cross-country skiing and skating. 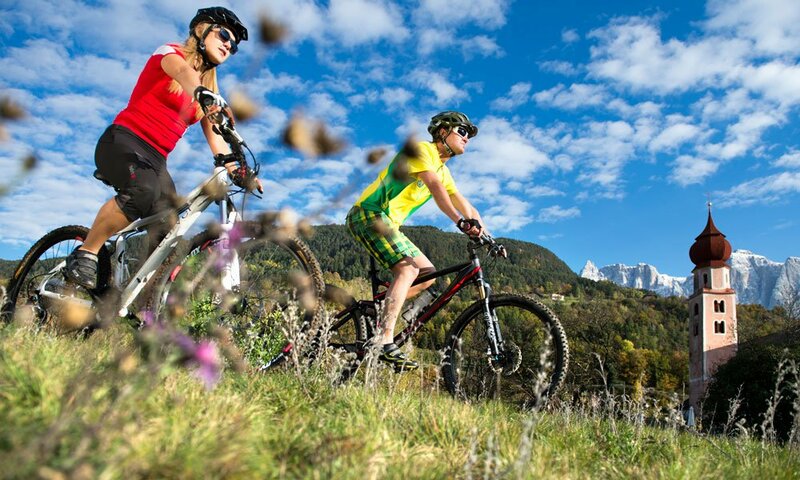 The Hartl trail on the Seiser Alm is also ideal for beginners. The eleven kilometer route is classified as moderate, here you will overcome a height difference of 84 meters. Again, you can practice both classic cross-country skiing or skating run. 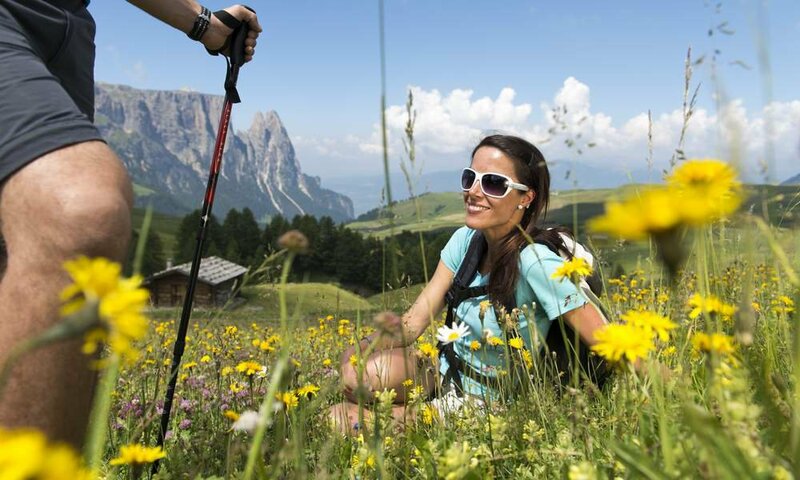 The trail Saltria on the Seiser Alm is also classified as moderate. The length is seven kilometers on which you overcome a height difference of 78 meters. However, only classical cross-country skiing is possible. 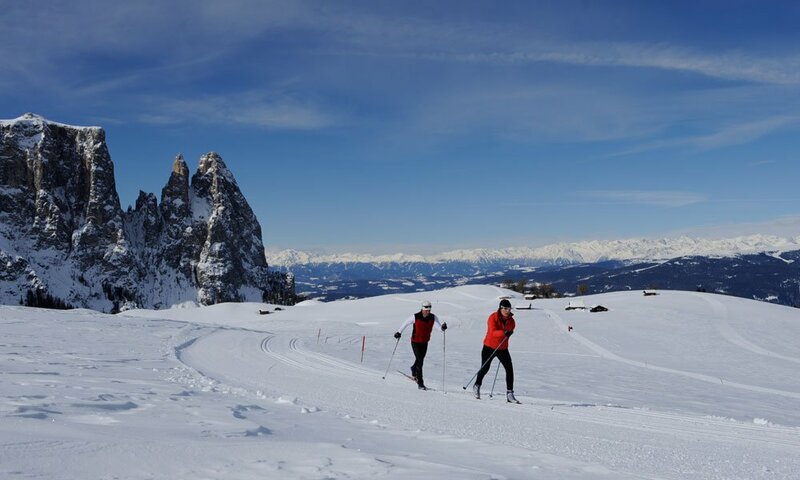 As the Compatsch trail on the Seiser Alm is classified as easy, it is ideal for common cross-country skiing with the family. Also the altitude difference of 35 meters is relatively manageable. Both classic cross-country skiing and skating are possible. The easy Möser trail has got as well a length of five kilometers. Here it is important to overcome either with classic cross-country skiing or skating a height difference of 36 meters.